Barbells are king. All you need is a barbell and a set of weight plates and you have everything you’ll ever need to get as strong as possible and as fit as possible. With a barbell you can squat and you can deadlift. If you want to get strong, functionally strong, then those are two of the best exercises you can ever do. Some would argue that they’re the only to exercises that you’ll ever need to pack on mass and strength. With barbell training, you can target pretty much every important muscle/muscle group on your body and work it incredibly hard. Cables are great and so are dumbbells, but barbells have got them beat. If you’re starting to kit out your home gym, then get yourself a barbell and some plates and build up from there. All the rest is basically superfluous. You need a barbell, you don’t need a cable adductor machine in your garage. You don’t really need dumbbells either. With dumbbells, you have to buy a ton of them just to have a wide enough variety in order to make progress. The adjustable dumbbells often don’t go high enough to really allow to move forward. Because everyone knows just how effective barbell training is and just how great it is to have your own set at home, the market is flooded with tons of barbells and barbell packages. Some are great and some are not. We’ve narrowed it down to the products that we believe give you the best bang for your buck. 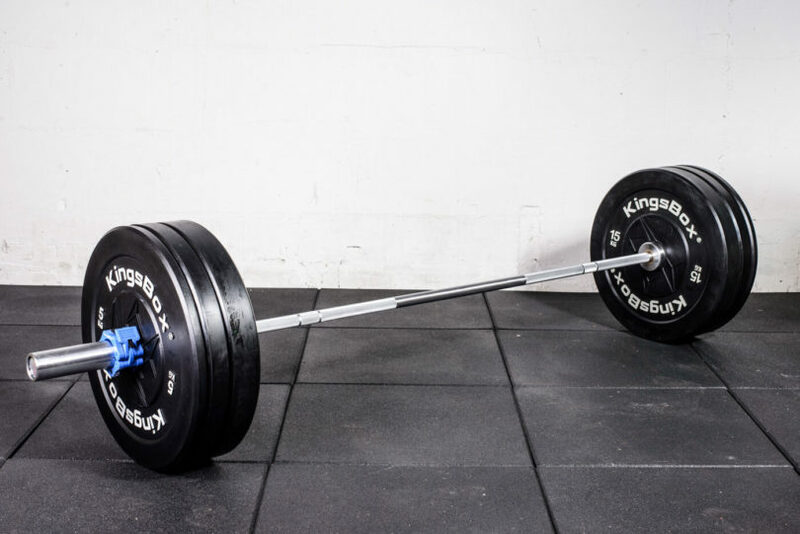 For a barbell to be considered an olympic barbell it should be around 45 pounds and accommodate olympic plates. Olympic plates are the ones that have 2 inch holes in the middle and are generally the most common plates you’ll find online, though do be careful when purchasing. Olympic barbells like this one are the gold standard of barbells and allow to really load up the weights and go to town. This particular bar has a weight capacity of 500 pounds, which is more than enough for most people will ever need in their training. CAP Barbell have organised a fantastic barbell and weight plate set here with plenty of different options to choose from. All options include their high quality 7 foot, olympic sized, black oxide colour barbell and spring collars to keep the weights in place. You have the choice of different plates such as grey iron plates and rubber bumper plates and the total amount of weight you wish to purchase. Each package includes a nice variety of plates in different sizes so you can mix and match to suit your workouts. We recommend the buying the heavier sets as it’s better to have too much weight that you can work up to, rather than the weights becoming too light for you and you have to buy more anyway. Serious Steel Fitness have sorted you out with absolutely everything you need to get started with your barbell training. All sets come with olympic barbell and excellent spring collars to keep everything in place. From there, you can choose from black iron plates, grey iron plates and another grey iron set that feature handles in the middle of the plates. 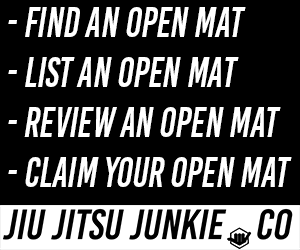 All options are of the highest quality and all will do you well in your training. Added up, the plates weigh 300 pounds total no matter which set you pick. Like all olympic bars, they can only accommodate olympic sized (2 inch) plates, so if you get too strong and need more weight, make sure you don’t accidentally purchase the smaller plates with the 1 inch holes. Having a full size, 7 foot long olympic barbell is great. But it does come with it’s downsides and it’s own limitations. 7 feet of olympic barbell is long. It takes up a lot of space and the olympic plates tend to be bigger than their smaller counterparts, even when the weights are identical. (Olympic plates are normally flatter/thinner than the squatter 1inch hole plates). If you still want to dive into your barbell training, maybe consider a set like this from US Weight. The total set weighs 100lbs and comes with weight plates, a barbell and spring collars. 100lbs of weight can be used in a ton of different ways to give anyone an insane workout if they know what they’re doing with it. This is the perfect set for those who want to dip their toes in and test barbell training but without breaking the bank to do so. This set weighs 55lbs in total, including the barbell. Despite olympic plates being slightly more common, it’s still incredibly easy to purchase the 1 inch hole plates online if (when) you decide that you love barbell training and want more weight. You just have to be mindful and check what size hole plates you’re buying. The weight plates themselves are coated which means they’re easier on your floor than the traditional iron weights and are also rust-resistance, which means that they’ll probably last you longer too. You can do it all with just a barbell and some weights. You don’t even need a ton of weights to get started and get a solid workout in. The beauty of having your own barbell and your own set of weight plates is that it’s such a great foundation for a home gym. From there, you can choose if you’re satisfied with what you’ve got or if you want to go further and build a whole, complete home gym for yourself.